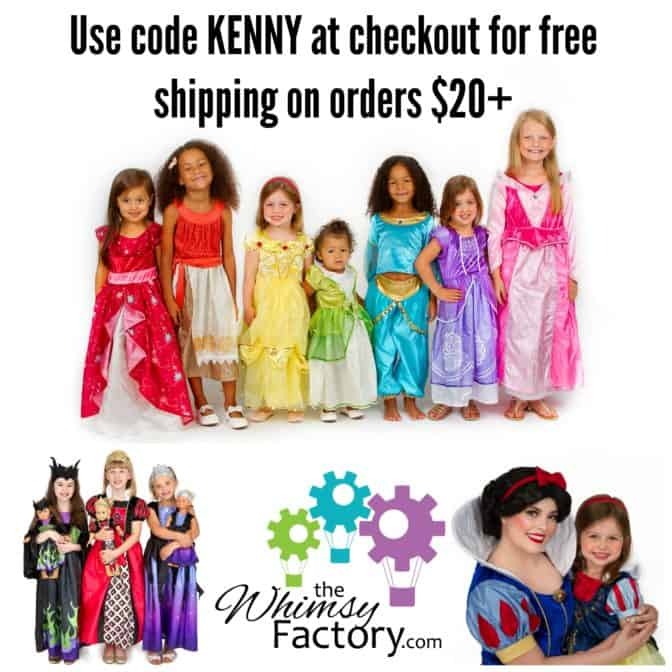 Just in time for Mickey’s Not So Scary Halloween Party, enter to win a $50 store credit to use on our full inventory of machine washable, non-itchy, glitter-free costumes. Hi, we’re Heather & Alison, co-owners of The Whimsy Factory. We were college roommates randomly paired together by the University of Minnesota housing lottery. Twenty years later, we’re somehow still friends, moms, and entrepreneurs. 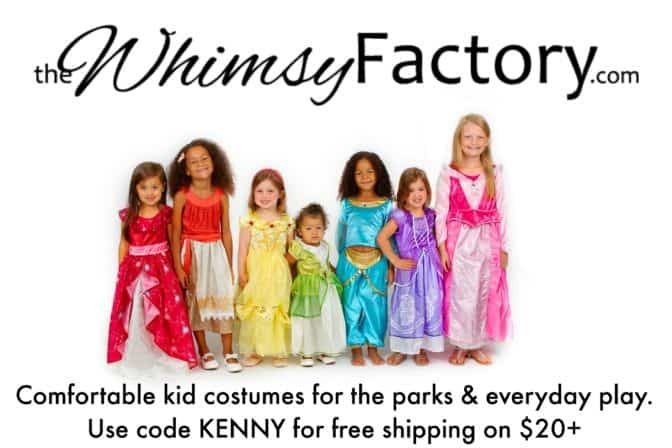 We started Whimsy when we were sick of the standard costumes available for our kids – itchy fabrics, messy glitter, ridiculous “hand wash only” expectations – who has time for that? We knew there had to be better options out there, so we decided to find them. We’ve curated our collection from amazing manufacturers who design for real kids – and the parents who wrangle them. Our kids test every item. We carry a wide range of sizes, require apparel-quality fabrics, and have budget-friendly prices. We are huge Disney Parks (and KTP) fans. Alison prefers Land while Heather’s family is nuts for the World – so we make sure to “park test” items whenever we can! 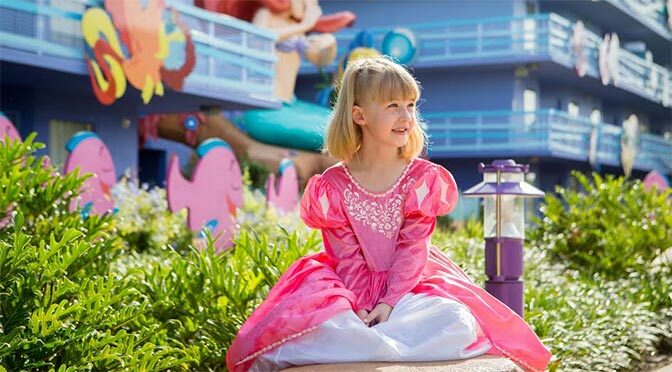 Our princess gowns and village dresses are perfect for long days at theme parks. There are no itchy fabrics, no Velcro down the back, no need for layers of t-shirts and additional clothing. Most of the waist seams are even wrapped to avoid rubbing on tender tummies. Want to eat a kitchen sink sundae while waiting for Festival of Fantasy? Go ahead, the outfits are washable, budget-friendly, and meant to be worn for daily imaginative play. We’ve found that park characters love to comment on beautiful outfits, and are quite flattered when you match their sense of style! Just in time for Halloween, we’ve added a line of amazing VILLAINS! They are perfect for MNSSHP.